What do the Vancouver Millionaires hockey team have to do with the Komagata Maru, the ship carrying Indian immigrants that was forced to return to India in 1914 due to racist laws of the time? Hockey superstar Fred W. “Cyclone” Taylor, who moonlighted during the off-season as an immigration officer, was one of the officials who prevented the ship from docking in Vancouver’s harbour nearly a hundred years ago, stranding 376 Indians for weeks just 1km from the shoreline. That’s one of the facts about this troubling chapter in Canadian history that I picked up during a break at a recent symposium held at SFU’s library in Surrey. The full-day event invited scholars, artists and members of the community together to discuss the Komagata Maru, and also unveiled a new website dedicated to documenting The Incident for future generations. 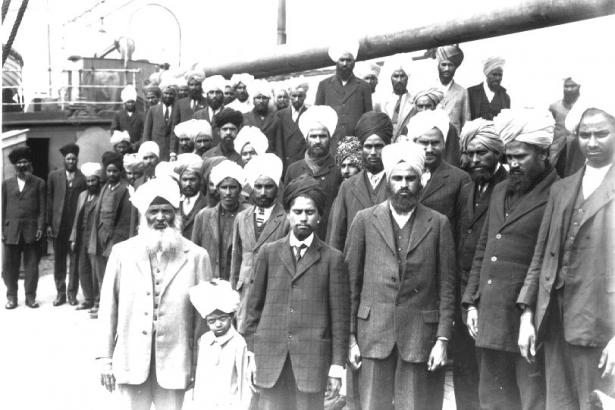 Official court transcripts appear side-by-side with notes from community meetings, private correspondence and firsthand accounts like Bhai Arjan Singh Chand’s diary, which covers the Komagata Maru Shore Committee of local South Asians that ultimately raised $25,000 to keep the ship in the harbour. 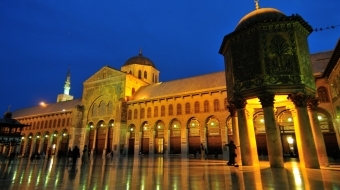 To ensure maximum accessibility, the site is available in four languages: English, French, Punjabi and Hindi. 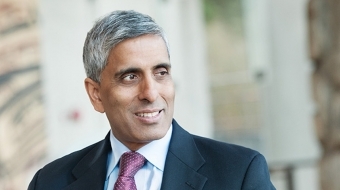 Likewise, lesson plans prepared by retired SFU education professor Roland Case of the Critical Thinking Consortium ensure that elementary and secondary school children are also educated on the lessons afforded by the Komagata Maru. 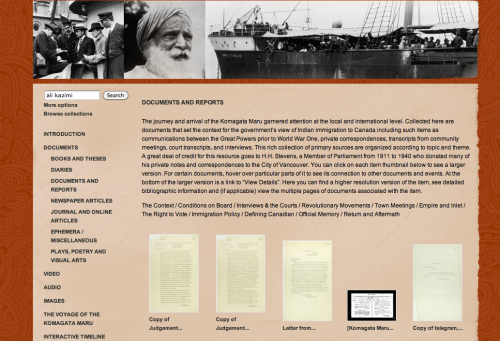 To learn more about the Komagata Maru, visit the Komagata Maru Journey website.